The CorsoMotion module is a pre-built unit that will do what you want. Makes sense to go with that, especially at the price. A car mod forum would have likely got you there more quickly - but, hey, we live and learn. Wiring will be fun - but that was going to be the case anyhow. Have fun - and if there is anything down the road that you might want to ask of us ... you are welcome to bring it here. Now I have to find a good choice in led bulbs ughhhhhhhh nice bright ones that come in clear, amber and red. Had a '67 390 Mercury Cougar with sequential tail lights. They were mechanical..a motor physically driving a cam/contact switches. They were slower in the winter (-30), and eventually got slower as the motor ( not to mention the bad contacts) died. They do sell replacements but not cheap! Had a girlfriend who had a '67 Cougar. Loved those sequential tail lights and that body style. Compared to the mechanical / environmental challenges of building a tail light assy that is suitably water,dust and vibration resistant, and has suitable brightness (esp in bright sunlight, but not be dazzling at night) and viewing angle the actual business of sorting out the flashing order, pattern and timing is trivial!!! I'd probably dust of some old microcontrollers I have lying around: the 16F505. I'd power it off a shunt regulator, as it will be resistant to high voltage spikes. If the LEDs need to be really bright I'd use strings of four in series, for each light and BJT constant current sources to drive them. I would actually advocate toward the discrete logic approach for a beginner. There's less to go wrong, less chance of a software bug and a hardware problem compounding things. The coding is not difficult, but for a beginner with no programming experience it can be pretty daunting. Either way, the mechanical/optical portion is going to be much more difficult to get right than the electronics. robjodicarter - You may have noticed the engineer brains have been suitably stimulated. There are several ways of achieving your desired result - and I have a feeling there will be more than one idea finding its way onto a breadboard. I'm just looking for an inexpensive way to do it with the coolest results. I have time and patience just the knowledge is what I need. Any ideas on where to look and gain some? I find the best way to learn something is to tackle a project - just like the one you brought here. While you have found a practical and inexpensive solution for your real-world need, you could try building some of the other solutions suggested. These won't necessarily need to provide the high current you would need for a vehicle (but you could go that extra step if you wanted to) or have the reliability and compactness requirements, but you could do so on a breadboard with a fistful of components. 1. Discrete transistor design. 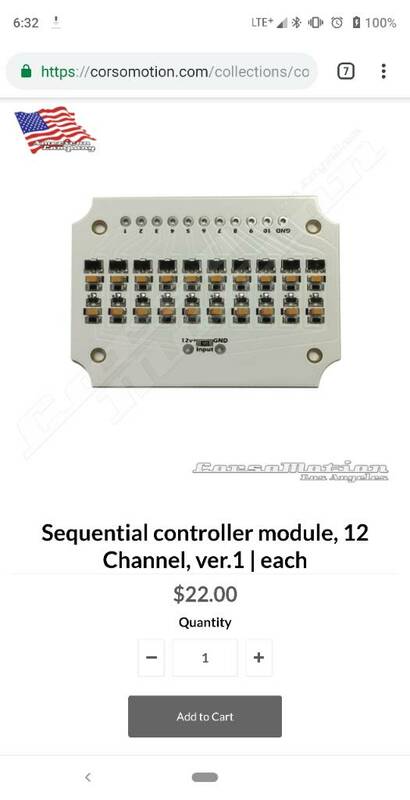 This is the one that your module uses - but we can build it from parts. 2. LM3914. We can add a rising voltage source to give the look you were after - or we can give it a signal from a different source and use it as an indicator. Indicator of what, you ask? There are a lot of answers to that. 3. Arduino based. Here you can make the LEDs do practically whatever you want them to do - and you can have them respond to different inputs if you want. This is a good starting point if you want to get into microcontrollers - and it's still a useful exercise even if you don't. It's relatively pain free. It does involve learning a bit of programming - but there are REALLY easy ways to slip into this and you will probably have your first LED blinking within an hour. Brumby the Arduino sounds good, what would I need to buy to start out? A starter kit of some sort. And a computer I imagine. Anything special? Programs or? Sounds like allot of fun!!!! There are literally thousands of videos on YouTube about Arduino and likely several just on getting started. What computer are you using to post here on EEVblog? Don't you already have some kind of computer? An ordinary Windows desktop (or laptop) is a typical platform. 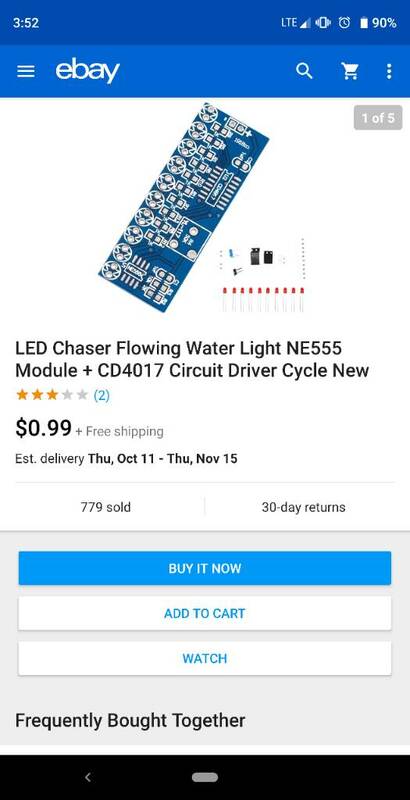 It's a basic one with enough to get you hooked, including a couple of displays and a 555 timer - plus they offer some instructions - for under $25. It has enough components to do the LED project (using more than one colour of LED) - plus a whole lot more. I haven't researched the seller, so I can't vouch for them - but this type of kit is available from hundreds of sources. There are other kits that have a range of sensors and other modules that you can spend more on and if you have the cash, then you can go for something like that if you have a mind. Personally, I'd save that sort of expenditure for later - once you know you want to go that far down the rabbit hole. They are available from the dealer here (high end Audi or BMW? ), as an optional extra. From memory they cost an extra 500~600 euro! A perfect extra for the poser. People here have mentioned filtering the car's power to prevent mishaps. What would be suitable ways of doing that? Voltage clamping using diodes to prevent spikes from blowing up your circuit? Inline inductors to smooth high frequency noise? An RC circuit to smooth out lower frequency pollution? A reasonable starting point would be to look at some other automotive electronics to see how it's done. Often it's nothing more than a regulator intended for automotive use and some suitably high voltage capacitors. You can go fancier if you want, but I've found that even in my oldest car (1984) the electrical system is not too horrendously nasty. Something from the mid 70s or older with an electromechanical regulator back when the only electronics in a typical car was an AM radio would probably be a lot worse. Fair point. It's cheaper to properly regulate the circuit than to protect every one of the hundreds circuits that are now inside a car individually. Now I want to drive around with an oscilloscope hooked up to the power system. I actually meant a regulator inside the device, I've worked on ECUs that had relatively ordinary 3 terminal regulators to supply the 5V. Usually 35V rated capacitors and some ceramic bypass caps, nothing too fancy. Something like a 7805 can tolerate around 35V on the input for short periods, limited by the heat produced dropping that much voltage. So how can I write the code for this style I will be using a sheet of LED's that are 20 high x100 long. Is there some sort of cheat or pre written code for this? I don't mind taking my time and learning just want it to be cool. Hi Rob, this is completely doable, although for a beginner, it is a learning curve. Those who were talking about using an Arduino for your solution have suddenly gone silent. This is a far cry from your original idea of 10 LEDs in a sequential row, but this can be done. If you look to the right of the lights in this video, you will partially see a breadboard with the electronics doing this for the narrator. This will all need to put on a protoboard after testing, and finally after the protoboard is tested live on your vehicle where you will simply rig it up somehow to test it, you will then need to get all of the components onto a proper PCB for the final product. This system will need to convert 12 volts to 5 volts, which is not a daunting task, but as you can see from the breadboard, there are a lot of components needed in order to create the system in the video. 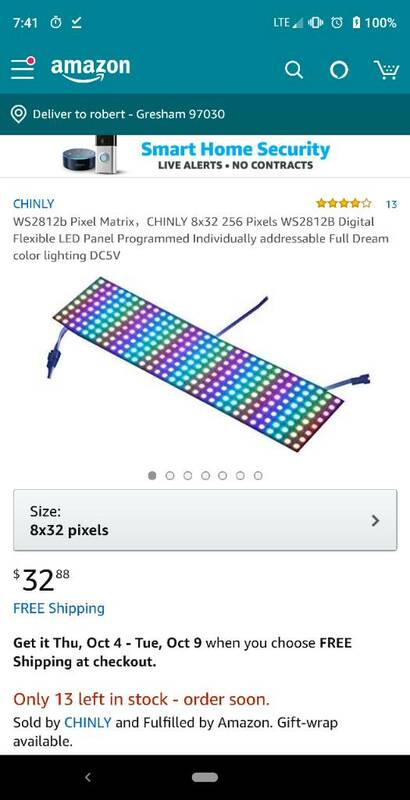 I don't think this is too far for a beginner to do, along with the help from the forum, however it is a far cry from your original idea of a single row of LEDs being sequenced out. Those who were encouraging you to go the Arduino or digital route seem to have stopped posting on this thread. However, if you feel you want to tackle this much more complex project, I suggest that you get the parts list from this YT video and then get your lab/work area setup with the essential tools you will need in order to be able to do this. There are multiple threads on this forum that lists all of the basic tools needed in order to setup an electronics lab. However, of you were to revert your idea back to a simple row of sequenced LEDs, the LM3914 is a much simpler solution that does not require that you have a 5 volt regulator and only requires a few simple parts. It will be interesting to see if this thread is revived with the multitude of different approaches again or one of the digital arbitters will come forward with a workable design and offer the assistance and tutillage that you will need in order to accomplish this. That should honestly be completely illegal. The various signals can easily be confused with each other. With some more care it could be better, though. It's perfectly doable, although a different kettle of fish than the initial idea. You'll need to start programming and multiplexing and probably protect your IC properly. Luckily AVRs are electrically fairly robust. 1. You can certainly do a multi-animation project - but forget about the LM3914. It's going to be a microcontroller or an insane amount of discrete electronics (that nobody here would even contemplate). 2. I would never suggest implementing such a diverse range of animations for a real vehicle used on public roads. These lights are for communication to other drivers and several of those animations serve no real purpose - unless, perhaps, it's advertising how geeky you are. If you want to do this for concourse displays or on the back of a monster truck inside an arena, then fine - but on the roads, it is very likely to cause confusion and will, without any doubt, cause distraction. Distractions cause accidents. 3. In implementing the 20x100 LED sheet we will need to know the connections it has in order to design the circuitry around it and define a programming approach. 4. We are all interested in seeing the OP achieve success, but this latest project is far more involved than the original single strip. With the single strip, building the circuit with 10 discrete LEDs and writing a short program would be easy, but the LED sheet is going to require more resources in designing, building and programming. I, personally, have not done much in the way of matrix display programming, so I'm sure that anything I put together would be clumsy ... and my time demands mean any assistance would stretch out. As a result, I'm not immediately putting my hand up - but that doesn't mean I don't want to help. It just means I don't want to make things worse. My thought was that the original 10 LED sequencer would be an excellent entry level project, introducing the OP to, say, Arduino - and then assisting him along the way as he explores more and more of the capabilities of today's exceptionally affordable electronics. I still think this is a good idea. I feel that there are going to be many members here who aren't going to be comfortable jumping in on a whole project - but once the OP has started on something and comes up against specific challenges, then someone with experience in that area will likely chime in. It's going to be a community effort. So I figured what I'm using, now I just need to figure out the easiest way to project what I want on to the LED's sheets. I'm using 2 8x32 pixel sheets(like the neo pixel sheets) now I just need to find the easiest and best way to control them. I was looking for different types of controllers for the automotive use but I think my best bet is to go with an Arduino uno board. I just don't know the first thing about writing code for this at all. I really thank all of you for help and input. Now I'm at a stand still. I know for all of you it's probably a daunting task but for me it's so exciting. From what I have searched it has not been done on a automotive vehicle. It may be an off road vehicle but it will be so awesome!!!! So if anyone could help me on how to control these with what I would need to drive the boards and how to write the code. I know it may take a bit being the biggest noob but it will pay off in the end. I will attach pics of what I want to use along with links incase that needs to be looked at. Again thank you all so much!!!!! You can bypass the regulator and feed the Arduino 5V directly. Obviously, but either way it's something to be aware of. I don't think the Arduino will have any problem running from 5V. My Mega 2560 ADK board works perfectly off 5V USB power - and it's hosting a scanning laser barcode scanner. He will be able to do a 10 LED sequential tail light with just the Arduino, 10 LEDs and 10 resistors - which will be well within the 500mA current capacity of basic USB. I've had problems with it in the past when using an Arduino Uno Rev3, which is why I mentioned it. Using a 12V adapter instead fixed the problem. 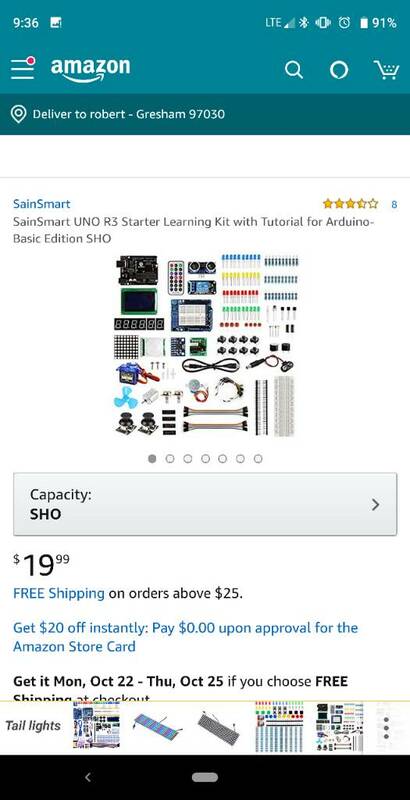 I have been learning about Arduino's for a couple years, but still a rank noob. You will find many Sketches posted online that you can use outright of with a little tweeking. You will find projects by others that are similar to yours in some respects, but it is important to learn the basics of coding so you can recognize what is going on. You really have to want to learn this stuff to go this route, but it seems like you do and forum members are always willing to help someone help themselves. 2. Have to be fairly close ( as close as poss). 3. Have to be at least rgb if not rgbw. 4. Have to be bright. Anyone have any ideas? I will be connecting them all together to make a pixel matrix of sorts. 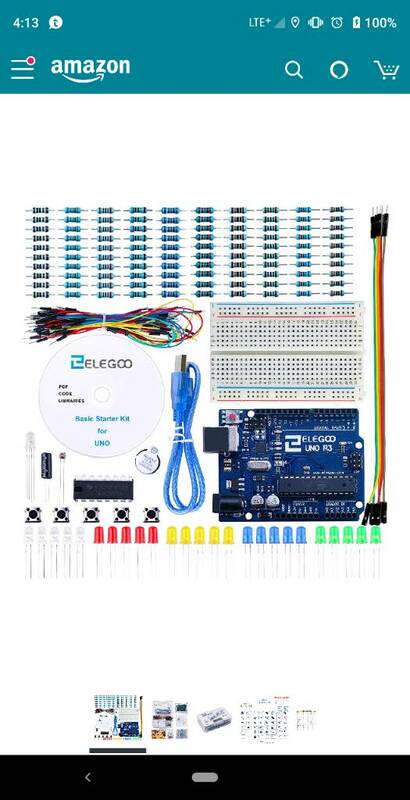 Found the Arduino kit I want. 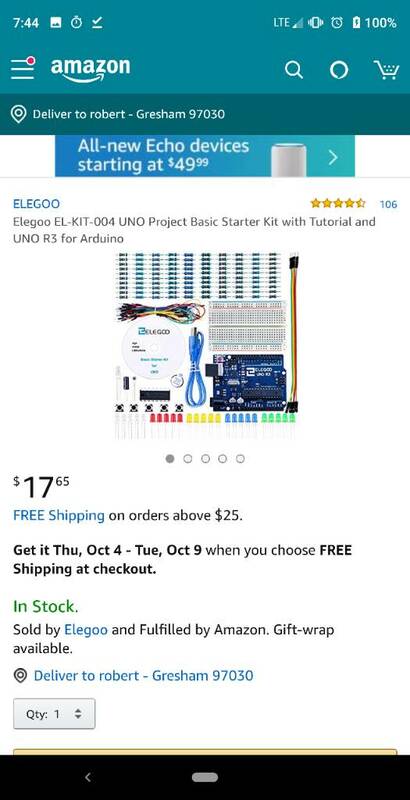 Not I need the led kit and then I can shrink the size of the Arduino or just get a microcontroller I can program to do that task. This is the kit I will get if you guys think it will give me the basics to start? That kit looks OK. It may be a bit overkill for your specific task, but it has enough gadgets to do other things as you expand your horizons. I don't see anything for power except that 9V battery clip. You might want to get some better power source like a 9V wall-wart, etc. Especially if you want to drive a larger array of bright LEDS, you might want to have something to simulate the vehicle 13.6V source. This is a show only vehicle. Not road legal at all. 2. Do you have enough outputs to achieve what you want? 3. Do you need a driver for the outputs to be able to deliver enough current to your LEDs? The microcontroller (eg Arduino) approach will allow you to put this together, once you have a bit of programming experience. Items 2, 3 & 4 are the physical/electronic considerations and we've mentioned these before. Item 1 is the front end of the programming exercise. You have 4 independent inputs: brake, running, indicator and reverse. Each of these is either active or not - which means you can have 16 individual conditions. Your programming will need to define exactly what happens in all 16 of those conditions. This does not mean you need to program 16 different routines - just that when you test the result, it should respond exactly as expected in each of those 16 conditions. All of this is quite possible - but try not to get head of yourself. I strongly suggest you get your Arduino kit (the one mentioned looks good - and will have extra bits you can expand your skills with) and start off doing the sequential indicator light project you originally wanted to do. I wonder how many times we'll see this remark. Ok brumby, I bought the Arduino that is show. Above now I just need to watch some videos in order to figure out how to begin to code the sequential lights. Any good suggestions? Most Arduinos (genuine and clone) come pre-programmed with the basic "Blink" program already loaded. There is typically an LED right on the Arduino board connected to one of the pins (typically Pin 13). So you should be able to simply apply power to the Arduino board (by one of several methods) see the on-board LED blink around once per second. That will show that your Arduino is good and your power supply is good, etc. Then you can connect an external LED (with the required current-limiting resistor!) and see how the Arduino will control an external LED. Note that the outputs from the Arduino (and essentially EVERY kind of microcontroller) has VERY limited drive capability and you should never plan on driving more than one LED per output pin. Next, you need to get your Arduino board connected to a computer and load the Arduino "Integrated Development Environment" (IDE). There are versions for PC, Mac, and Linux depending on which computer you are using. It looks like there is also an online version, but I have no idea how it works. I will go and research it. There are probably some YT videos on the subject. The typical starter steps are to take the "Blink" program (Arduino calls it a "sketch"), make some slight change (like changing the blink sequence and/or timing) and try loading your new code into the Arduino to confirm that the development system is working and you are able to load your new code into the Arduino. When you have that sorted out, you can start experimenting with the code to blink multiple LEDs which is a simplified subset of your ultimate goal, to blink many LEDs. But then, along with gearing up to write and upload code into the Arduino, you need to also think about the issue of driving more and/or brighter LEDs from the Arduino output pins. 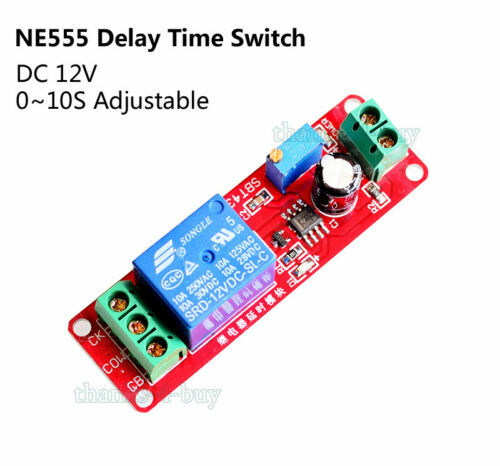 This is typically done with some external transistors which will take the weak, limited signal out of the Arduino, and boosts it to switch perhaps several amps as you would need for a large array of LEDs, etc. Your kit probably includes some transistors that will allow you to demonstrate this circuit. So you can try out your Arduino by simply applying power to see the LED blink. But then you need to work on your programming setup (whether downloaded or the online-version.) Did your kit come with any kind of instructions or lessons/experiments, etc? No it was just a basic kit, I will break int it this weekend and see what havoc I can create!!!! Pretty excited about this. My mom was an engineer at Hp from 80-95 so I was around computers allot. I'm a mechanic by trade but now I have the itch to tinker. Also want to try and maybe do some cool Christmas lights with Arduino this year? Do you have a computer to run this on? You will need something. It doesn't have to be very new or big or fast. Coding for Arduino is a pretty basic task for any computer. I just skimmed this thread and I gotta say good on you for sticking with it through all the different options. Reminds me of the first time I replaced a starter. Lordco gave me the wrong one and when I said it didnt fit they taught me how to check my flywheel for cracks instead of checking the part number. In my local tech meetup group one of the most successful entrepeneurs is a mechanic who learned arduino to make his job easier. Sometimes the hardest part is just getting the pc to talk to the arduino. Focus on that first with really simple code, make 1 led blink. That might go smoothly, might not but you'll get it and it becomes much more fun after that. A nice thing to add about arduinos is after you get your prototype working, it is fairly easy to cut costs and size down for the next version by making your own boards using the main components from the arduino. Richard Crowley has given a good outline. See how you go with that. I wouldn't worry too much about this. Making your own boards is an investment in time that will be hard to justify in the beginning. You can do a lot with existing boards - so have fun with those. Just got it so addicted!!!!!!! Trying to upload code via Arduino droid but not taking? I know it's not the best way but my son is using the computer to do his school work. Any one use this way? Just got it so addicted!!!!!!! As for the upload failing (assuming the compile was successful) if it was on a computer, I would get you to check the port being used - but I have no idea bout using Arduino droid. I'm not familiar with android but a common problem is not selecting the right board or downloading and installing the drivers for your specific board. If you haven't told it what board you are using, that'd be a good thing to look in to. It's also a good idea to keep electronics away from things that generate static electricity, like blankets. Look up 'ESD' for more info. Please help, I received this error? With the Arduino board not connected, go to Tools > Ports and see what ports are listed. Then plug the Arduino in and repeat the exercise. The port which now appears that wasn't there before is the one you should select. If the list of ports before you plug in the Arduino is the same as the list after you plug it in, then the Arduino isn't being recognised and you may have a driver problem. Got it, just wrong port sorry for the late response. Been super busy with work. Just been trying little things like blink a light and I want to try and learn how to use the matrix but looks like I need another connection. I only have one board. No worries. I was hoping it was just the port. Using the LED matrix is a bit of a jump in complexity - for both the wiring and the programming. Whether this will be a bit much for you at this point in your learning is something I cannot judge. You may struggle with it a bit or you may take to it like a duck to water. This is just a heads up. Either way, I am confident you will "get it". This is the second video which goes through a couple of ways you could drive the LED matrix - and then focuses on the one that makes the most sense. 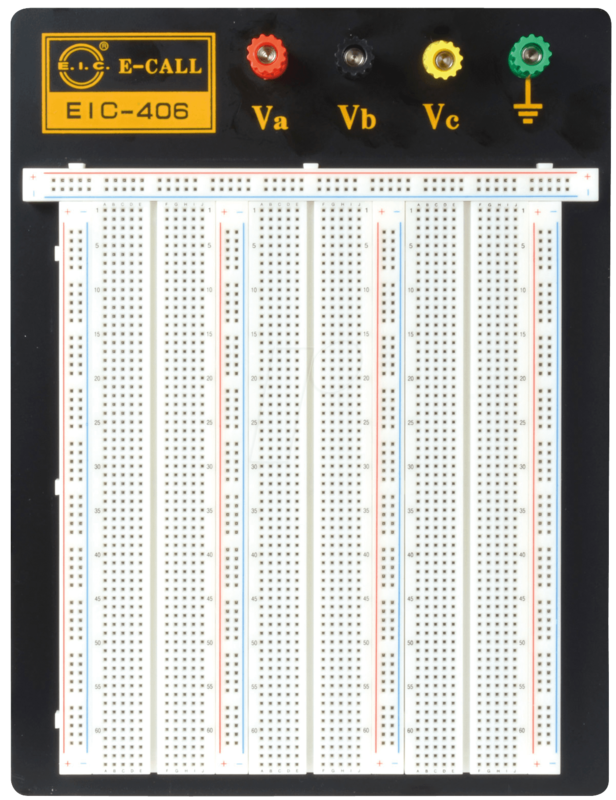 Note that the preferred solution will require the use of the 74HC595 ICs, the breadboard, some resistors and the hook up wires that came with your kit. Edit: All this is probably covered in your tutorial material, but I thought I'd offer some alternative material in case that might be useful in your understanding.